FWPP has made great progress over the last year! First and foremost, we appreciate you, the Flagstaff community for being supportive of this forest thinning and fire prevention work! The honest truth is; this work is difficult, there are many project partners involved, and there are always challenges to square up to and overcome. Thank you for supporting this project as we move along, year after year. Some of the biggest highlights from 2018 are the award and initiation of two new contracts in the Dry Lake Hills area. In addition to steep slope and helicopter contractors working out in the woods, we also had three American Conservation Crews hand thinning in and around Brookbank Meadow all summer and fall. Please see our 2018 Biannual Report for a more in-depth recap of progress through the end of 2018. FWPP was also able to significantly increase the amount of financial leverage received through cash and in-kind contributions from our project partners. In fact, 2018 was our biggest leverage year since the project began! Take a look at the FWPP Leverage 2013-2018. A special thank you to the Coconino National Forest for providing over $1.8M in cash to the project. This demonstration of support shows clearly your dedication to keeping our beloved forests around Flagstaff healthy and protected into the future. Look forward to 2019, we are hoping to have our steep slope and helicopter contractors finish their work as swiftly as possible. We also are looking to have additional hand thinning crews working in the Dry Lake Hills and on Observatory Mesa. FWPP in cooperation with the Coconino National Forest, Hopi, and Navajo hope to pilot a free firewood program. 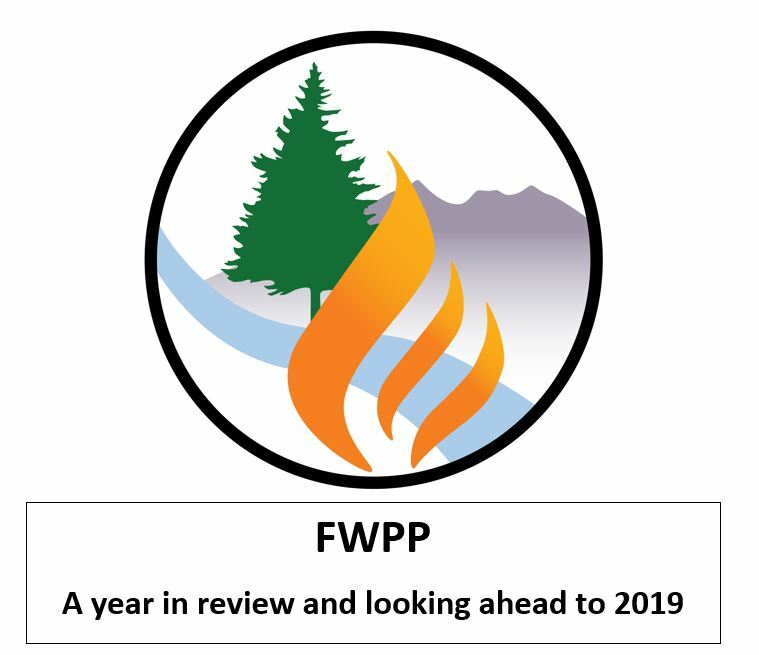 Please read our list of 2019 FWPP Goals for more information. Many more exciting and challenging things are ahead for FWPP. Thank you for your support, and please contact us at anytime!